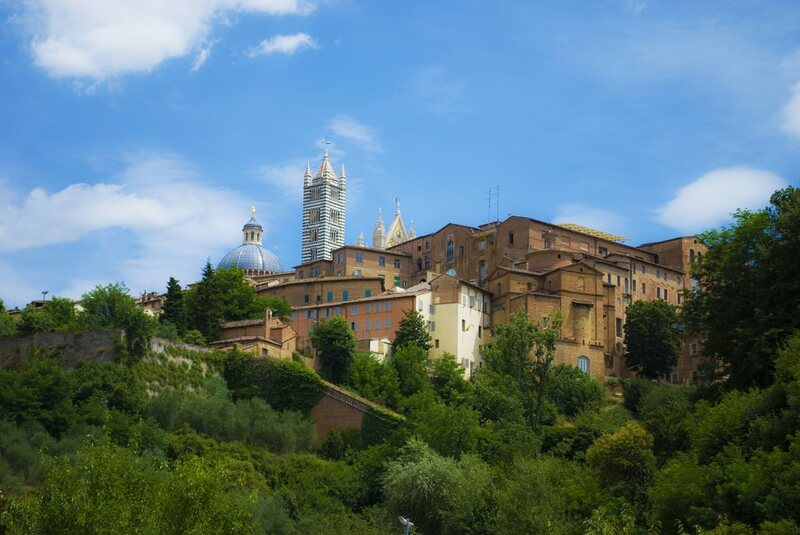 Siena is a medieval city that carefully keeps the traditions of ancient times. It is situated on three hills. 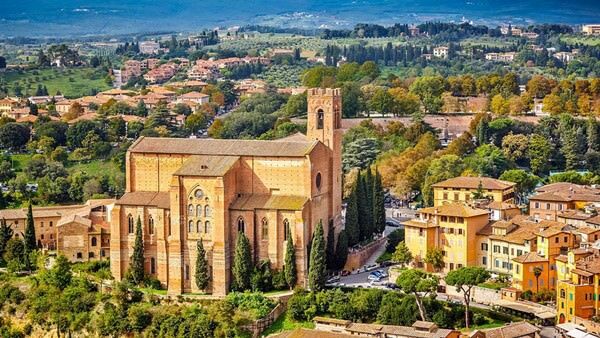 This fact creates the impression that Siena is divided into three small towns. This is partially true, because for convenience Siena was divided into three thirds, which are divided into seventeen autonomous regions in their turn. These regions are named Conrad, and each of them has retained its emblem and flag since the ancient time. The inhabitants of Siena have particular respect towards the traditions of the past days. Only this fact has helped to preserve its original ancient gothic style. The main square and one of the most famous places of the city is Piazza Campo. Two times a year the square becomes the battlefield for competitions among the residents of all Conrads. Only ten representatives from each of the thirds are allowed to participate. The competition is done in the horse race form. This is a truly impressive and exciting event. The main decoration of Piazza del Campo is the Fountain of Joy. It was designed in 1419. The fountain resembles a huge pool, decorated with beautiful sculptures. Some finishing elements maintain their original look since its opening. All sculptural compositions are valuable museum pieces. They form an important part of Palazzo Pubblico Museum exposition. Actually, not originals but copies have been installed in the niches. Piccolomini library is situated on the territory of the main cathedral of Siena. It attracts travelers not only with a rich collection of ancient books but with a unique design. Halls of the library keep unique frescoes of the 16th century. The library itself is decorated with original Roman sculptures of the 4th century. It was formed in 1492. Many books constitute unique museum exhibits. No less excellent historical monument is the House of St. Catherine. In the 14th century, there lived Saint Catherine of Siena - a famous writer and an outstanding figure in politics and religion. In the 15th century, she was nominated for sainthood. In the 19th century, Catherine was recognized as one of the main patrons of Italy. The ancient house was built in the 14th century. Several hundred years ago, a sanctuary was organized there. Now, it is visited by pilgrims from all over the world. A tour of the ancient palace of Kiji-Sarachini promises to be really interesting. The palace was erected in the 12th century for the noble Mariscotti family. For hundreds of years of existence, it changed many famous owners. Count Kiji-Sarachini was the last one. The historic building was named after him. In 1932, a musical academy was opened within its walls on instructions from the count. Later, it became one of the most famous in the world. An ancient Fontebranda fountain is a unique landmark in its way. In prehistoric times, a source of fresh water was discovered in its place. Local residents made a large fountain that supplied the city with water afterwards. The pavilion that travelers can see today, was built in the 13th century. Its exterior hasn't changed for hundreds of years of its existence. This guide to iconic landmarks and sights of Siena is protected by the copyright law. You can re-publish this content with mandatory attribution: direct and active hyperlink to www.orangesmile.com. 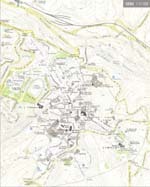 Check on the map: Distance from Siena center - 38 km. Check on the map: Distance from Siena center - 37.7 km. 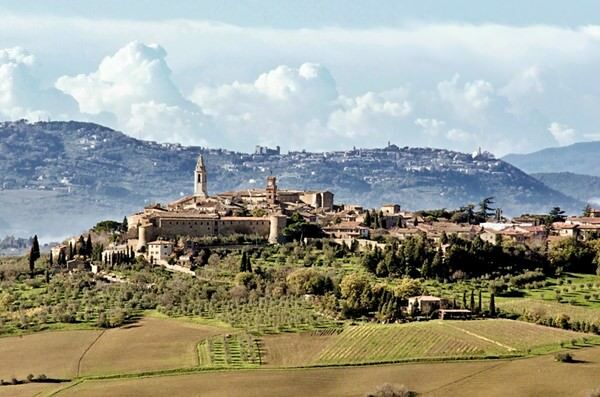 All about Siena, Italy - sightseeings, attractions, touristic spots, architecture, history, culture and cuisine. Prepare your trip together with OrangeSmile.com - find out the 'must see' things in Siena, which places to visit, which excursions to take, where the breathtaking views are waiting for you. 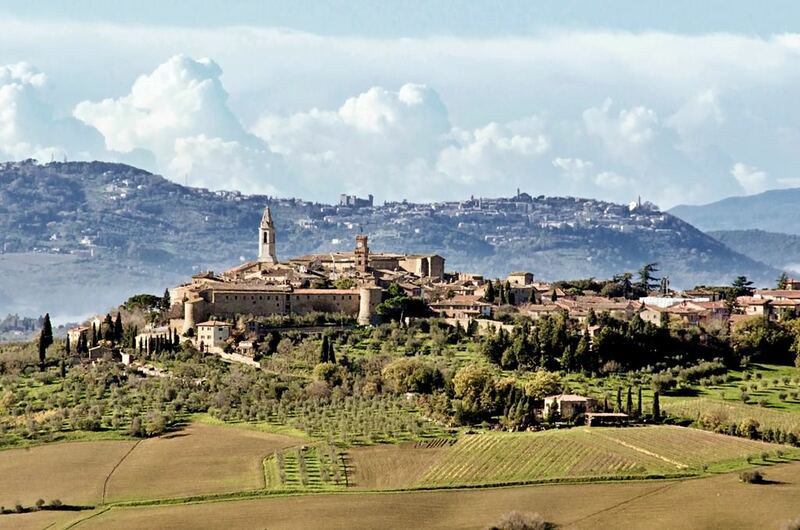 Planning your trip with this travel guide will help your to get the most out of Siena in few days.